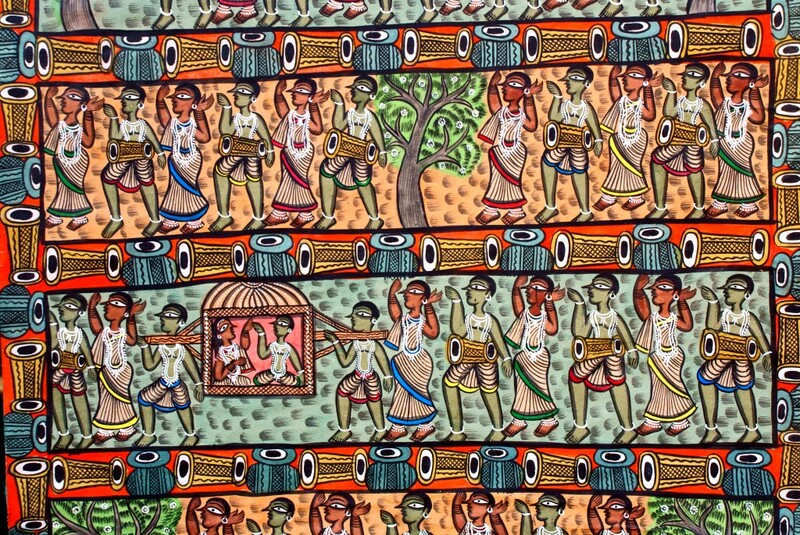 Patachitra or scroll painting of rural Bengal is made by the Patuas, a branch of the Chitrakar caste (picture-maker). The Patuas are professional artists who make images and paintings for a living. Patuas, like the kumars (village potters), started out in the village tradition as painters of scrolls or pats telling the popular mangal stories of the gods and goddesses. For generations these scroll painters or patuas have gone from village to village with their scrolls or pat singing stories in return for money or food. The pats or scrolls are made of sheets of paper of equal or different sizes which are sown together and painted with ordinary poster paints. Originally they would have been painted on cloth and used to tell religious stories such as the medieval mangal poems. Our day return excursion to one such village, Naya is an authentic village experience traveling through lush green agricultural field, beautiful terracotta temple, seeing local craft such as Madur (grass mattress) weaving, and the highlight is of course, are the scroll painters. We also trace from here the other famous Bengal painting called Kalighat. Nowadays most of these paintings are in the hands of private collectors or locked behind museums doors. From the depiction of Indian goddesses, and other mythological characters, the Kalighat paintings developed to reflect a variety of themes. The charm of the Kalighat paintings lies in the fact that they captured the essence of daily life and they influence modern artistes like the late Jamini Roy even to this day, whose work we would see at the Academy of Fine Arts Kolkata. Depart from the hotel after an early breakfast, and drive to Naya village (3.5 hrs). On arrival we first visit the beautiful Terracotta temple of the local Maity family. Proceed later to the village of the scroll painters. Simple, non-spicy home cooked food is served for lunch with mineral water. After lunch we are free to interact with the painters, watch them create intricate works of art, listen to their songs, and visit the houses of the grass mattress weavers. Late afternoon we head back to Kolkata. A quick tea / coffee break with clean toilet facility are available en route. 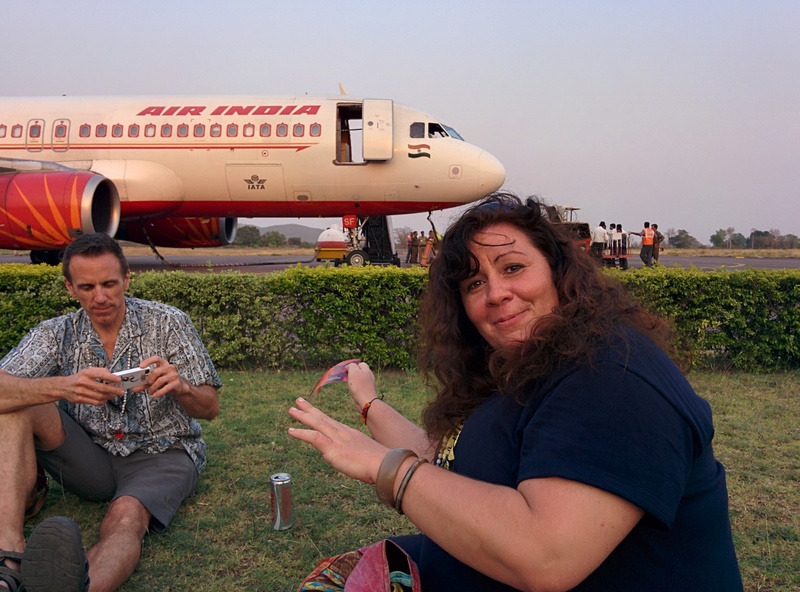 It would be close to 1930 hrs by the time we are back in Kolkata. Next morning we visit the Academy of Fine Arts before proceeding for our city tour. For the price and a longer itinerary which includes the beautiful Terracotta Temples of Bishnupur get in touch with me.